AMSTERDAM and LEBANON, N.H., Nov. 13, 2018 /PRNewswire/ -- Royal Philips (NYSE: PHG, AEX: PHIA), a global leader in health technology, today announced an agreement with Dartmouth-Hitchcock Health (D-HH) to implement Philips' eICU program technology. The program aims to help reduce mortality, length of stay, and ventilation days while providing patients the care they need, wherever they are located. D-HH is the latest health system to work with Philips to implement a tele-ICU program, further demonstrating the growing global momentum and interest in virtual health care and remote monitoring solutions like Philips eICU. Hospitals and health systems across the globe are facing increased pressures – from lack of beds and overcrowding, to changing reimbursement models and an ongoing intensivist shortage. Only 47 percent of ICUs in U.S. hospitals currently employ full-time intensivists1, a number that is expected to continue to drop. In widely dispersed communities, leveraging telehealth technology can help rural hospitals increase access to quality care by providing the bedside team with expert guidance and 24/7 monitoring of critically ill patients. 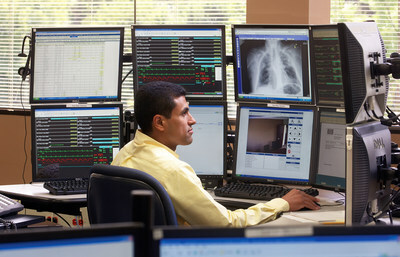 By incorporating Philips eICU technology, D-HH will be able to build on its mission of providing each person the best care, in the right place, at the right time, every time – whether at the health system's flagship hospital, Dartmouth-Hitchcock Medical Center (DHMC) in Lebanon, NH, or at the patient's local hospital with the support of specialists based at DHMC. "As New Hampshire's only tertiary care medical facility, demand for our services is high," noted Dartmouth-Hitchcock Chief Clinical Officer Edward J. Merrens, MD. "The use of telemedicine across the D-HH system and around the region aligns with our mission of providing the best care in the appropriate setting, whether it be at DHMC or at the patient's local hospital with the support of Dartmouth-Hitchcock specialists." 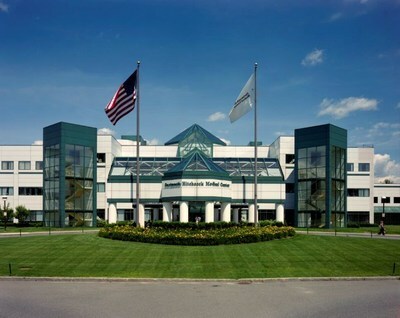 DARTMOUTH-HITCHCOCK (D-H), New Hampshire's only academic health system, serves a population of 1.9 million across New England. D-H provides access to more than 1,200 primary care doctors and specialists in almost every area of medicine, delivering care at its flagship hospital, Dartmouth-Hitchcock Medical Center (DHMC) in Lebanon, NH. DHMC was named in 2018 as the #1 hospital in New Hampshire by US News & World Report, nationally ranked in gynecology, and recognized for high performance in 14 clinical specialties. Dartmouth-Hitchcock also includes the Norris Cotton Cancer Center, one of only 49 NCI-designated Comprehensive Cancer Centers in the nation; the Children's Hospital at Dartmouth-Hitchcock, the state's only children's hospital; affiliated member hospitals in Lebanon, Keene, and New London, NH, and Windsor, VT, and Visiting Nurse and Hospice for Vermont and New Hampshire; and 24 Dartmouth-Hitchcock clinics that provide ambulatory services across New Hampshire and Vermont. The D-H system trains nearly 400 residents and fellows annually, and performs world-class research, in partnership with the Geisel School of Medicine at Dartmouth and the White River Junction VA Medical Center in White River Junction, VT.